Mobile Suit Gundam: The Origin - Three Episodes in and I'm Loving It. I’ve been a fan of Mobile Suit Gundam ever since I was little, around 4 years old to be exact. I caught the tail end of Mobile Suit Gundam Wing The Movie: Endless Waltz while it was airing on Toonami. Ever since then I’ve been hooked and even bought some Gunpla to put together. It’s probably my all time favorite anime franchise and I anxiously await each years Gundam show, whether it be an entirely new, or a re-adaptation of an old one, or a second season. The Origin was no different. I was introduced to the original Mobile Suit Gundam 0079 story through the games Federation vs. Zeon Deluxe, Zeonic Front, and Journey to Jaburo on PlayStation 2 when I was little. I became fascinated by the tale that had been laid out before me, even if I didn’t understand a lot of it at the time. After all these years I still really haven’t sat down to watch the original 1979 anime because it has not aged well over the last 37 years. Makes it somewhat hard to watch when everything else aside from the stuff from the 80's, still holds up nicely. 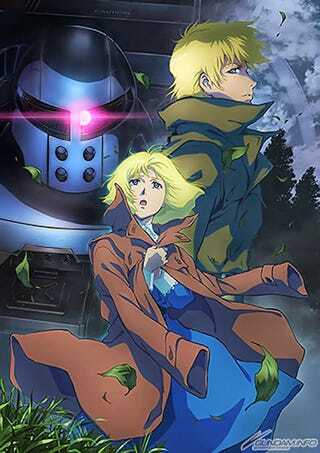 As a result, I’ve gotten the story from various other sources and pieced it all together, which is why I was excited when Bandai and Sunrise announced an adaptation of The Origin, the origin tale of the original series antagonist Char Aznable. The Origin is unique in that it’s, to the best of my knowledge, the only Gundam series that is a prequel to an existing series, that series being the original Mobile Suit Gundam. It tells the tale of Casval Rem Deikun, the son of former Side 3 leader Zeon Zum Deikun, and the boy that would go on to become the man known as the Red Comet and later the leader of the second Neo Zeon movement. He plotted to get revenge on the Zabi family for assassinating his father and forcing them into exile. The Origin tells the story of his childhood, his teenage years, and ultimately how he set his plot into motion. As of right now, The Origin is 3/4th’s of the way through it’s run with the fourth and final OVA, Eve of Destiny, scheduled for release this fall. That will conclude the current arc and begin the new Loum Arc, and all of this will eventually lead into the beginning of the first Gundam series. Whether or not The Origin will also readapt the original story is still to be seen, but it is a possibility and one that I would welcome due to my aforementioned troubles with the decades old television show. Some have recommended to me that I watch the compilation films since it cuts down how long I’d have to watch it, but after watching the first two films I get the sense that I was missing a lot, not to mention I prefer the dub cast from the TV series. Gundam: The Origin, visually speaking, is a beautiful series. Everything has a flow to it and everything is detailed quite beautifully. That being said, I kind of wish they had animated the mobile suits and vehicles normally. Watching a 2D Char sit inside a 3D Zaku cockpit was a bit jarring. Gundam Unicorn did a lot better in this aspect. However, throughout the series thus far it has remained fairly consistent, which is a plus, and it’s nice to see the early UC mobile suits and characters brought to life through more modern art and animation. That’s the thing about the Universal Century to me. It has such a different feeling from all of the other Gundam series. It’s more grounded, more realistic, and yet also more... floaty. And by that I mean that I feel like I’m floating through space while watching these series, a silent observer of this period in time. And The Origin perfectly captures all of that. However, if you’re expecting frequent Mobile Suit battles, you won’t find very many here. The vast majority of The Origin takes place prior to and during the development of the Mobile Worker, which would eventually become the Mobile Suit. Only scenes that take place around the beginning of the One Year War will show Mobile Suits in action, and damn are they gorgeous. Though again, I think I would have preferred 2D over 3D. Mobile Suit Gundam: The Origin is everything I could have hoped for in a return to the Universal Century. The dub is also pretty good, though I wish Michael Kopsa would play an older Char. His voice is the one I associate with Char and when I hear any other voice it just doesn’t sound right. I know they won’t bring him back or even ask him to reprise the role when the series inevitably rolls into the One Year War, after all they probably want to keep it consistent with Gundam Unicorn where Char’s brief cameo and the antagonist Full Frontal are voiced by Keith Silverstein, who now voices Char in The Origin. I really hate it when characters get recast. I could understand if it had been thirty years, but its only been around 12 -15 years since the original series and Char’s Counterattack were dubbed and as far as I’m aware Michael Kopsa is still active. In this case the only thing that probably prevented it was the fact that the dubbing studio is different. Before it was The Ocean Group, now it’s Bang Zoom. Anyway, rant over, I can’t honestly see any reason for you not to watch this series. Watch it before the original MSG, watch it after the original MSG, watch it as your first Gundam series, it really doesn’t matter as its good no matter where you’re coming in from. As of right now, the first three OVA’s are released and dubbed and you can rent them for HD streaming on Amazon and Google for $7 or less for thirty days. The first two episodes I found on Amazon dubbed, though the third was only available subbed. I found the dubbed third episode on Google. Don’t ask me why Amazon only had the subbed version, it just did. Both the sub and the dub release simultaneously for this series just as it did for Unicorn, so expect the dub of OVA IV this fall.